Federal Government After Decades Tries To Stop Local Authorities From Profiting on Asset Seizure Abuse Justified by Federal Law (But What About State Abuse)? Use your Lexis subscription to access LexisNexis’ Money Laundering, Asset Forfeiture and Recovery and Compliance: A Global Guide – This treatise by William Byrnes with commentary and analysis of hundreds of AML experts from over 100 countries, is designed to provide the compliance officer accurate analyses of the AML/CTF Financial and Legal Intelligence, law and practice in the nations of the world with the most current references and resources. This multi-volume treatise is organized around five main themes: 1. Money Laundering Risk and Compliance; 2. 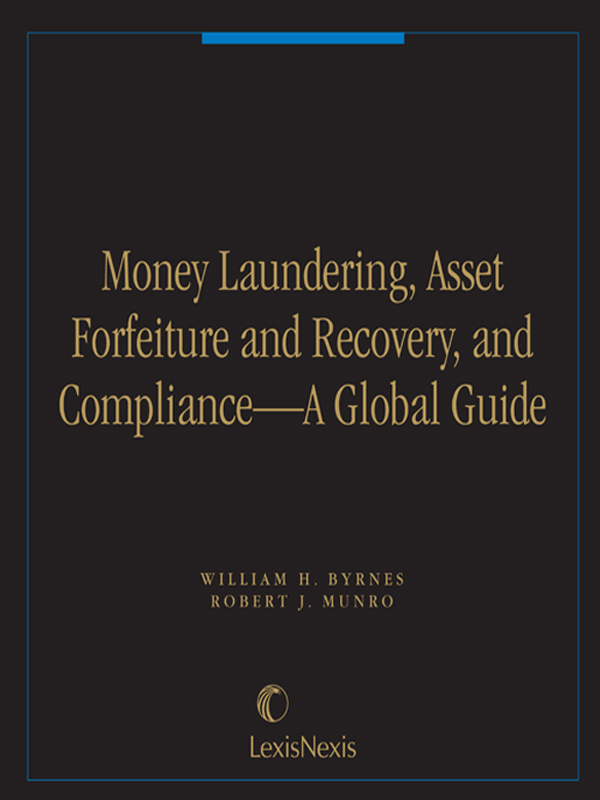 The Law of Anti-Money Laundering and Compliance; 3. Criminal and Civil Forfeiture; 4. Compliance and 5. International Cooperation. As these unlawful activities can occur in any given country, it is important to identify the international participants who are cooperating to develop methods to obstruct these criminal activities. This entry was posted on January 19, 2015 at 02:00	and is filed under Money Laundering. Tagged: anti money laundering, Asset Forfeiture, Money Laundering. You can follow any responses to this entry through the RSS 2.0 feed. You can leave a response, or trackback from your own site.